Vanessa Baden Kelly accepted the award for Best Drama Series on behalf of Giants at the 9th Annual Indie Series Awards. 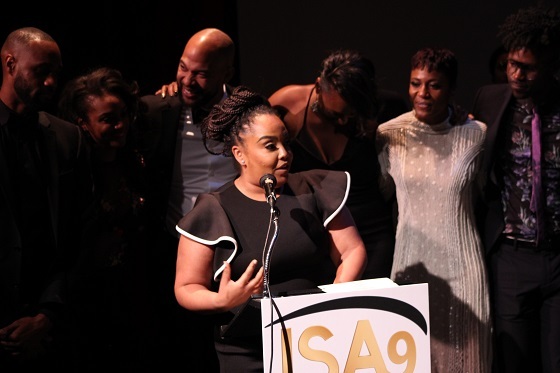 The winners of the 9th Annual ISAs were revealed on Wednesday, April 4 at The Colony Theatre in Burbank in a ceremony hosted by soap opera star Patrika Darbo. The ISAs celebrate the best in independently produced entertainment created for the Web.